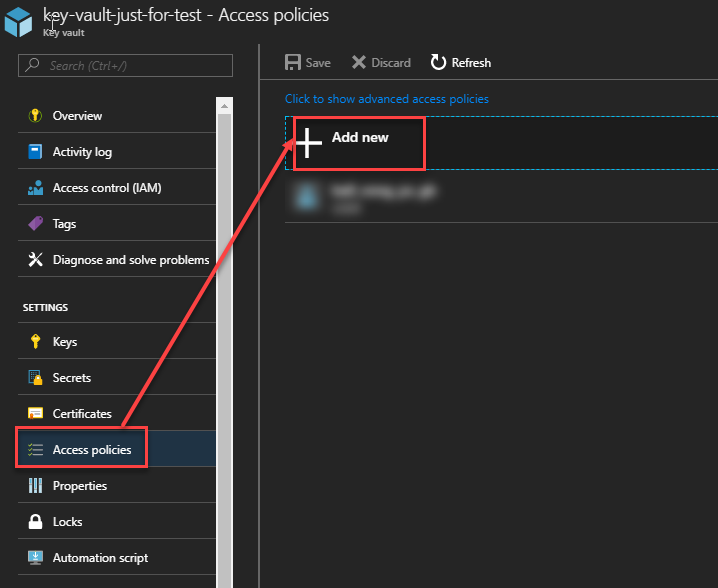 Preparation – Setup the Azure KeyVault and Azure ActiveDirectory. 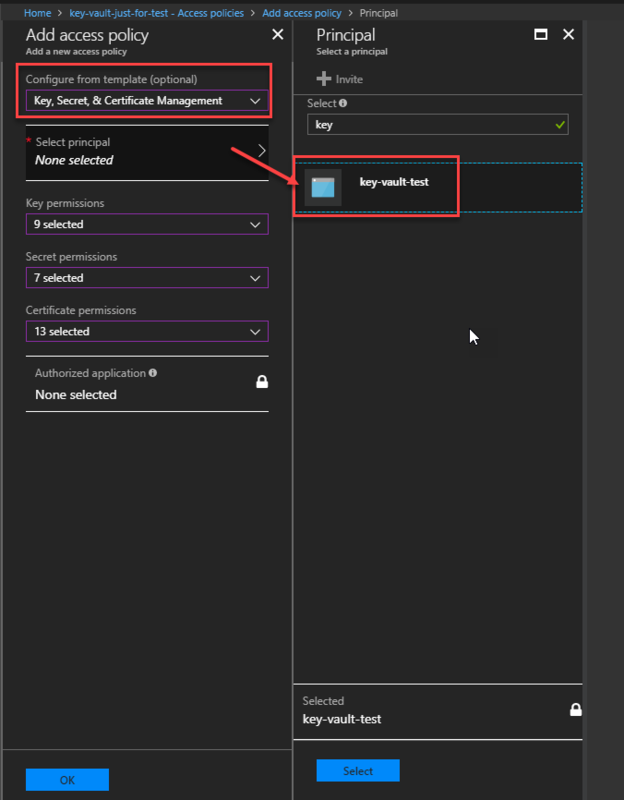 Client Implementation – Get Certificate from Azure KeyVault. First, you have to enable the permission for your app to access to your KeyVault. Specify the “Name” and “Sign-on URL”(It does not have to be the real one but required.). 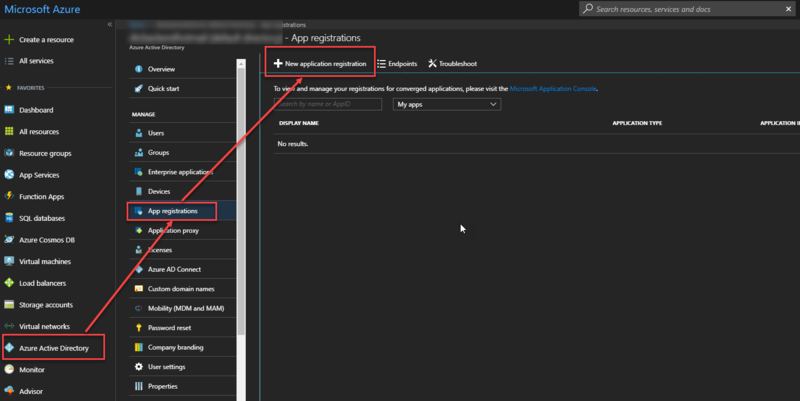 For “Application Type” must be “Web app/ API” in order to generate the client secret for the app. Once its finish, you’ll see the “Application ID”. This will be your ClientId. The secret string will be shown once the saving is complete. This will be the ClientSecret for the App. You have to copy it immediately because it will be shown only once, it means that you will not able to see it again next time. You’re finished setting up the Active Directory for your app uses to authenticate to the resource group. For now, your app just gets the credential to the resource group but it can’t be access to your KeyVault yet. So, there is one thing you need to do is to enable this credential in order to retrieve the secret information. 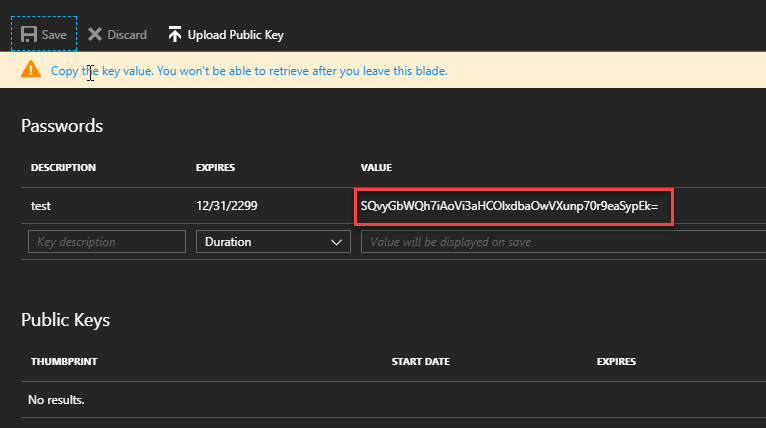 Go to your Azure KeyVault. Click here if you never done yet. Then, go to “Access Policies” section. Next, Click on “Add New”. 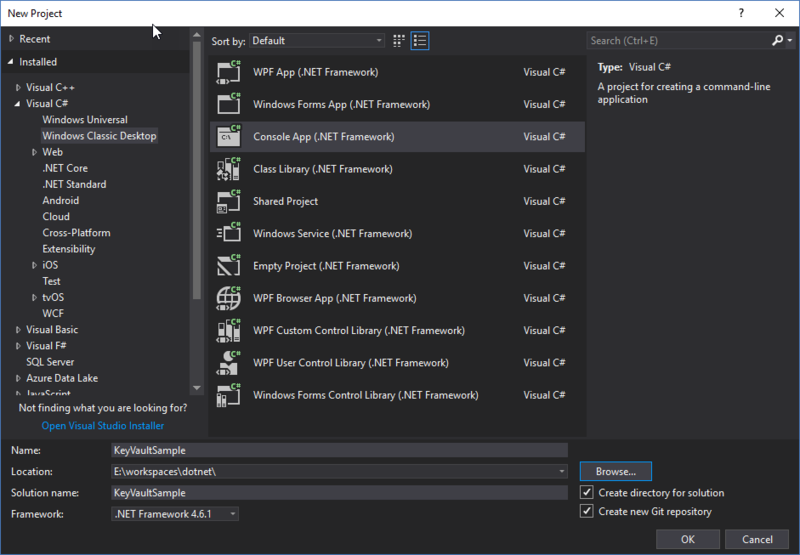 In the “Configure from template” option choose “Key, Secret, & Certificate Management”. Next, “Select Principal” choose the app that was created in the Active Directory. Now, you are ready to go for your application to retrieve the secret data. Implement the method for ActiveDirectory authentication. Use Certificate Identifier. 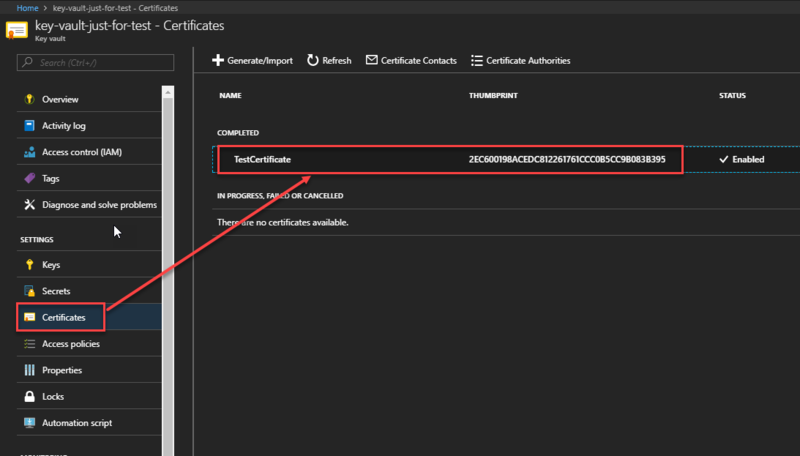 You can get Certificate Identifier as shown in following figure. Implement you Main method as following. Now your project is ready to go. The result will be shown as following. You can also create, update or delete the keys, secrets, and certificates from here. Thank you for reading. See you in next post. 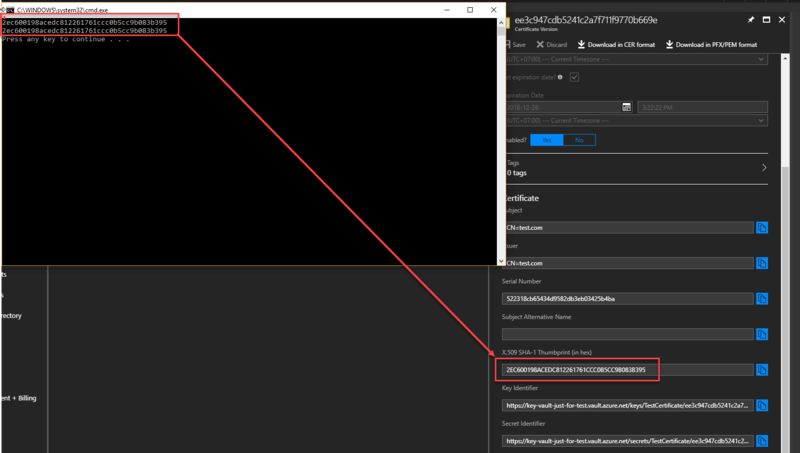 To answer your question on how to return in X509Certificate2, X509Certficate2 class itself accept the raw byte of certificate in its constructor. So, you can do something like this.